This doll appears to be made in India and I s made with a dark, rich wood with very thick dolls typical of India sets. The smallest doll in this set opens. 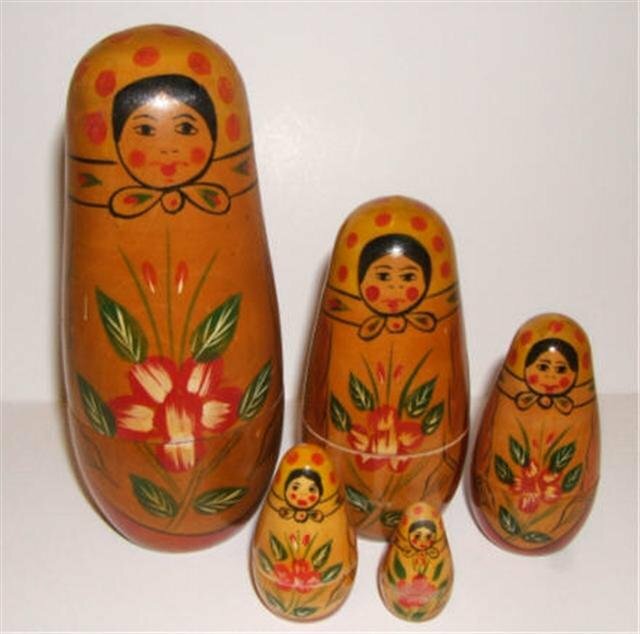 The dolls are painted in a rusty orange tone paint with green and red flowers. They have a yellow scarf with a band around the neck and dotted with rusty orange dots (instead of the traditional Semenov fingerprint swirls).